There are many finely crafted songs and complete records that have been written about cities and towns, both specific to a particular community and in general. Some may note the dynamic vibrancy of the city, such as “New York, New York” (Frank Sinatra) or “Galveston,” (Glen Campbell), its romanticism such as “I Left My Heart in San Francisco” (Tony Bennett), or perhaps the city’s economic distress like “Allentown” (Billy Joel). One of the more recent examples is the superb album entitled The Suburbs by Canada’s alternative/indie band, Arcade Fire that won the Grammy for album of the year in 2011. 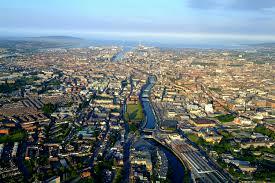 However, to this blogger, no song heard to date about a city seems to capture the loss of a city’s innocence as it transitions from a regional or national center of commerce to a world-class city as the song “Dublin In the Rare Old (or Ould) Times.” Below are lyrics to this classic by Pete St. John. One can easily picture his thoughts while reading the lyrics and/or hearing the song being performed. It is really quite heartbreaking – an ode to love lost – both personal and communal. The song also begs the question, ‘Is demolishing a community’s past truly ‘progress?’ I would tend to say that in most cases, no, it is not progress. Instead, it is all too often an unfortunate step in the wrong direction. This entry was posted in Advocacy, architecture, art, cities, civics, civility, commerce, Communications, culture, density, downtown, economic development, entertainment, Europe, geography, historic preservation, history, humanity, inclusiveness, infrastructure, land use, landscape architecture, music, new urbanism, placemaking, planning, revitalization, spatial design, sustainability, theaters, third places, tourism, Travel, urban planning, writing and tagged cities, development, Dublin, entertainment, growth, history, Ireland, lyrics, music, Pete St. John, redevelopment, songs, tunes, world-class city. Bookmark the permalink. I do not like this song and to me it is an exercise in either “stage” Irish or the type of Irish who for whatever reason always want to present a demeaning picture of dire deprivation. What a contrast to England where all the stories come from the royalty and nobles. Certainly the commoners of England could have written worse songs than this describing their plight, but they had no voice. 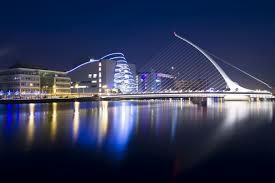 I have been to Dublin many times and have found it to be a very vibrant city. Indeed my parents were Irish immigrants and succeeded in Ireland and the USA to a remarkable degree, as did most Irish and their diaspora. Frankly I am tired of the Irish who always present a picture of being on the bottom of the heap. Given their population, they have succeeded to a remarkable degree as a tiny country. They are all “equal” as are we in the USA and never called “commoners” bowing and supporting royals and nobility. Their ancient history is only now being explored and is truly a magnificent puzzle to be solved. The potato famine was actually a genocide and anyone who calls it anything different needs to recall that their land was stolen by supposedly English nobles funded by English bankers. That history is only beginning to be explored. I would say “A Nation Once Again” is a far better indication of Irish sentiment than “Dublin in the Rare Ould Times.” That is the unfortunate experience of one writer. Although i agree with the previous comment in regard to the proper analysis of Irish history, and how colonization funded by British (and Dutch)bankers of a different time stole our land …..i do not consider this song regressive , as suggested. It is interesting though how, despite freedom ..bankers still continue to subvert democracy here(sometimes aided by compliant legislators and politicians). I also agree about the Famine …anyone reading the minutes of the proceedings of the House of Commons of 1846. will easily see that the ‘Free Trade’ Act passed that year (and a change of government to Conservatives) premised profit and market dictating commodity prices over all else. Only 60 members expressed grave concern of what thus would likely come in Ireland….so no one could plead ignorance in that house. A genocide for sure . ….never the less…i think this song beautiful, poignant …it always will be. -not so much(, in my opinion) because of its reveling in the ‘down all the days’ attitude but rather an appreciation of community,, decent values . , even if , conversely,times were hard then. While it serves no purpose to obsess on same-we should not forget either. Times have changed ..though many are saying that some of the values expressed in that song are becoming relevant again in post ‘Celtic Tiger’ Ireland. We shouldn’t be ashamed of or reluctant to learn from the past, yet look to and work towards the future. I also like A Nation Once Again! Thank you, Brian. We have issues with bankers here in the states too. It’s about the little town of Niles, CA that is part of a bigger city – Fremont. It’s a one-sided train town (Golden Spike), and it was the original Hollywood with Broncho Billy films and Charlie Chaplin. There is also an Antique Faire that draws 100,000 people every year and lots of antique shops. The City just moved the historic train depot back into town, rotating it 180 degrees, orienting it toward the new town plaza. Now there are concerts in the Summer. It is a great place. People say its like Mayberry. And an ice cream shop just opened up. Yay! Well Rick I happen to think it’s a terrific song. As with most creative forms the writer needs to paint a picture and dare to say Pete St. John’s picture is a multi faceted one. The phrases “raised on songs and stories” ,”haunting children rhymes”, and “fare thee well sweet Anna Liffey” stir the heart and soul. Besides this, it’s great to let your mind slip into days gone by and maybe feel a bit for this lost soul as time passes him by. I think it is excellent too. Sorry if it sounds like I don’t.